This was actually the first styled shoot I got to participate in and I couldn’t wait! 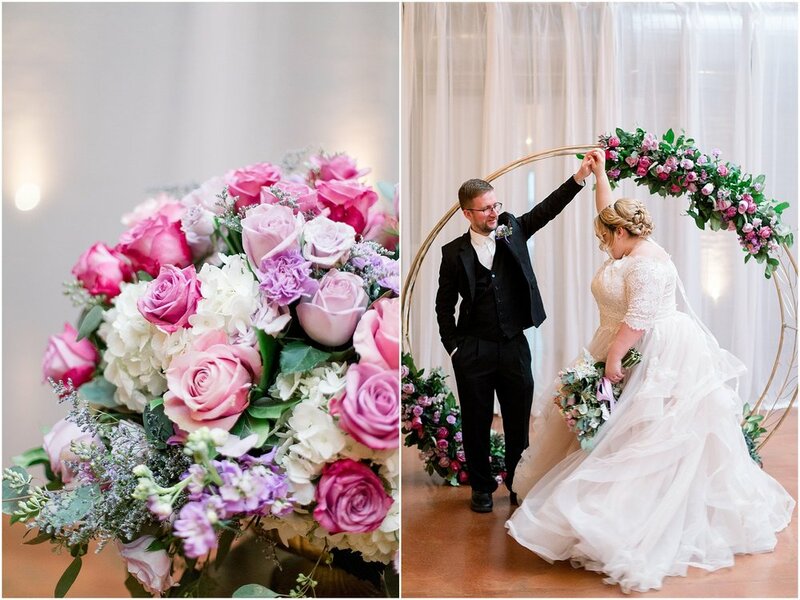 All of the vendors that came together to make this possible were amazing and I am totally loving that floral archway! I hope that these are a trend that comes and stays in 2019!! I’m also obsessing over the purple colors that were used here since I feel like it is never used in weddings (and totally should be). 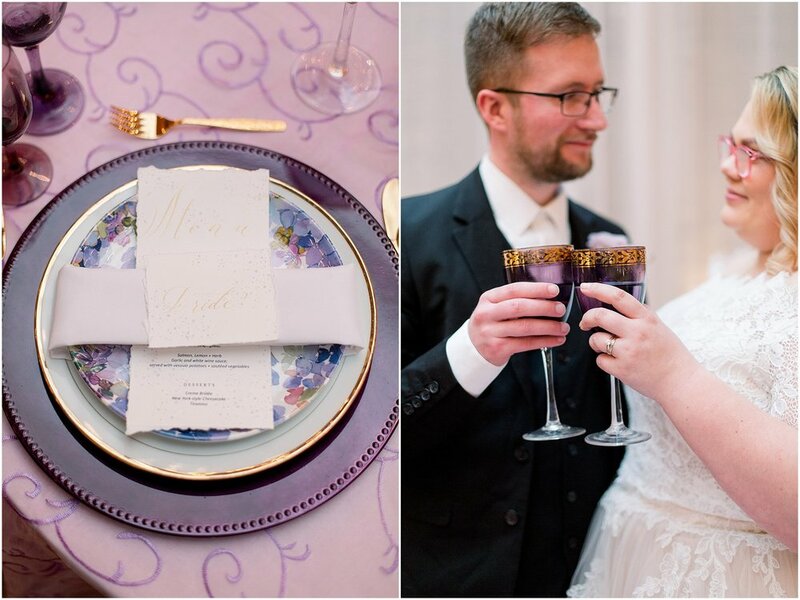 Every single detail down to the elegant purple glasses and painted macaroons was perfect! 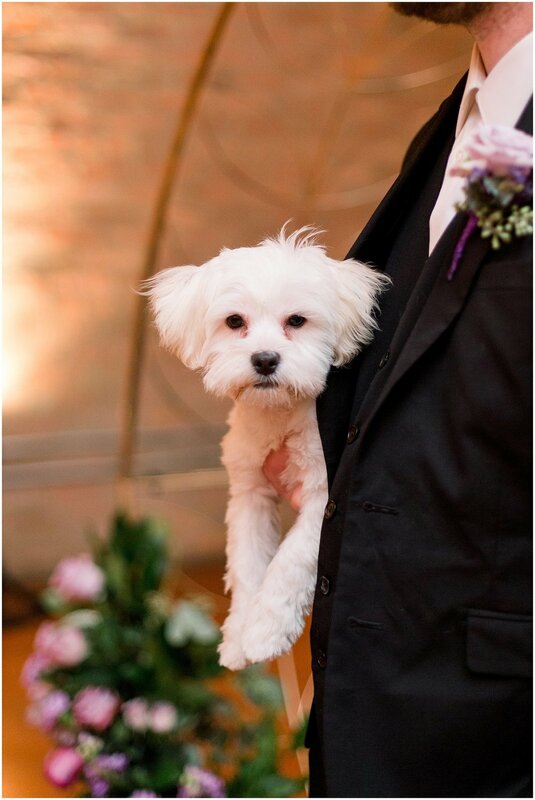 Also, they had their pup who was also wearing a flower crown which is so amazing.